The Tour de Cure is all-new and is perfect for all abilities. Choose the course that best suits you, your coworkers and friends. Members of your team do not have to sign up for the same activity so building a team is easy. All the routes will be fully supported with bike mechanics, volunteer route marshals, rest stops with food and water, cheering volunteers and more. Choose your distance and know that every mile helps make a difference. Whether you choose to ride your bike, run or walk all the roads we take lead to the same destination to fundraise for a cure. Whether short or long, each route is fully supported with rest stops, SAG vehicles and more. This year, there are 4 cycling routes (100 miles, 63 miles, 30 miles, 12 miles), as well as a 5K Run/Walk. Please remember that all cycling participants must wear a helmet. If a minor is participating, the minor is also required to wear a helmet, if riding. Click the captions to display the routes. 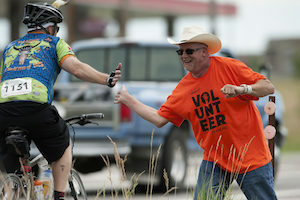 Not for the faint of heart or those who have not sufficiently trained is our new century route. It entails nearly 5,000 of climbing as well as some roadways that have no shoulder and demand the utmost in caution and attention. Still, for those who are ready for a challenge, the rewards are great. They include a broad diversity of terrain that few places share – from the vineyards of Santa Rosa, Windsor and Healdsburg to the forested hills of Forestville and Occidental and the famed Bohemian Highway. We head west to the coast through redwoods to the juncture of Hwy 116 and Hwy 1. Take in views of Pacific waves along the coast while you head south with a tailwind to Bodega Bay. We return inland along Bodega Hwy past rural grazing lands to the outskirts of Petaluma before returning on country backroads to Sonoma State. Our 63-mile route heads north from Sonoma State to the eastern outskirts of Santa Rosa past Sonoma County farmland and vineyards in Windsor and Healdsburg. Our route then heads south along the western edge of the Santa Rosa plain taking in the rustic beauty of the rural communities of Forestville and Sebastopol with its apple orchards. You’ll finish with a mix of farmland and townscape before the return to Sonoma State. 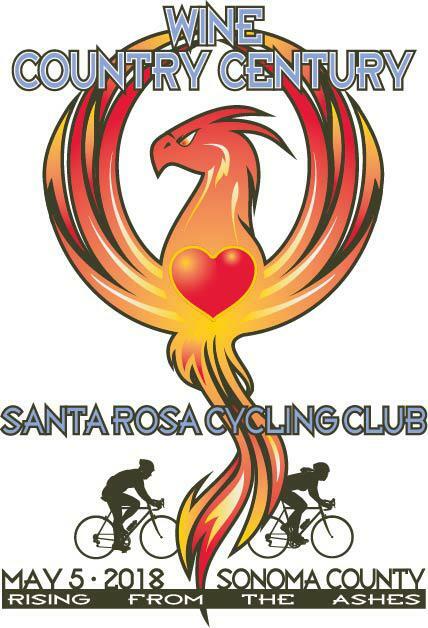 Volunteer – Public Service – Tour de Fox Wine Country For full details and sign-ups, click here.